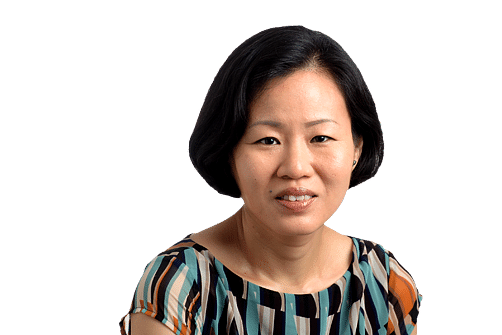 Growth with equity must surely be the holy grail of development and, in Singapore's history, the men and women of the National Wages Council (NWC) have been at the vanguard of this quest. Few understand the inner workings of the NWC better than Professor Lim Chong Yah, its founding chairman who steered the council for 29 years from its inception in February 1972 until he stepped down in 2001. Two weeks ago, the economist, aged 84, lit up the old Parliament Chamber of the Arts House with some blunt talk about equity. He argued that Singapore had in the last decade or so swung too much towards growth at the expense of equity, as a result of which the Gini coefficient - a measure of income inequality - "deteriorated tremendously". That was why he felt compelled to speak up in 2012, he explained. In that year, he surprised many with his call for wage Shock Therapy - hike pay at the bottom by 50 per cent over three years and cap pay increases at the top for the same period. And he's not done. At the recent Arts House event, he renewed his call for a legislated Minimum Wage to supplement the Workfare Income Supplement and the Progressive Wage model that Manpower Minister Lim Swee Say put in place during his tenure as labour chief. Both the don and the minister were at a forum on tripartism in the Pioneering The Future series, run by the EDB Society and The Straits Times. The discussion shed light on past struggles to forge consensus on wage change and the current, ongoing slog to raise wages at the bottom by helping workers upgrade their skills and improve their productivity. Yet even as these efforts continue, there is already a need to look ahead at what technology- driven job disruption will mean for growth with equity. What can be done to provide workers with a fair wage in the coming age of robots? That question has been exercising minds in those parts of the developed West at the technology frontier. Unsurprisingly, the most optimistic scenario is one put forth by venture capitalists in New York and Silicon Valley, the very people funding research into technologies that will significantly alter human work. They believe that smart machines will boost productivity to such an extent, there will be enough for a fund from which to issue monthly cheques to displaced workers. Their name for this monthly payout for those who find themselves out of a job is universal basic income, or UBI for short. In a recent column, New York Times technology columnist Farhad Manjoo wrote that these technology optimists "argue machine intelligence will produce so much economic surplus that we could collectively afford to liberate much of humanity from both labour and suffering". He added that the most idealistic thinkers envision a future in which "as computers perform more of our work, we would all be free to become artists, scholars or entrepreneurs, or otherwise engage our passions in a society no longer centred on the drudgery of daily labour". But not everyone views the future through such rose-tinted lenses. Technology pessimists and realists warn of bleaker outcomes. Among them is American economist Paul Krugman, who wrote back in 2012 that "smart machines may make higher GDP possible, but also reduce the demand for people - including smart people. So we could be looking at a society that grows ever richer, but in which all the gains in wealth accrue to whoever owns the robots". Does that mean the rise of smart machines could well exacerbate existing income and wealth gaps? Massachusetts Institute of Technology professors Erik Brynjolfsson and Andrew McAfee note in their book, Race Against The Machine, that over the last decade, throughout the US economy, there has been a drop in the employment-to-population ratio and a drop in median wages, and many of the people who lost jobs couldn't find new ones that paid as well as the ones that they lost. It's clear that governments will have to step in to mitigate the ill effects of such disruption. Separating the provision of healthcare, disability and pension benefits from employment, offering workers with limited skills social benefits on a universal basis. Mandating a basic income guarantee for a reasonable standard of living to combat persistent unemployment or underemployment due to the automation economy. Providing activity accounts for lifetime learning and job retraining to motivate the workforce to keep pace with innovation. The good news is that Singapore has embarked on restructuring in some of these areas. For instance, it launched universal health insurance MediShield Life last November, which assures every Singaporean and permanent resident of medical insurance from birth till death, whether or not they have a job. As for accounts to encourage lifelong learning, that sounds like the SkillsFuture accounts that have been set up and into which the Government has credited $500 for all Singaporeans aged 25 and above to use on approved courses. But what about a basic income guarantee to assure displaced workers of a reasonable standard of living? Singapore's Government has long resisted calls to introduce unemployment insurance, believing that jobs are the best protection for workers. But the time may have come to review this stance, as job disruption gathers pace.